Suh said that players face heavy income taxes, state taxes, city taxes, the “jock” tax, agent fees, and regular life expenses, which cut into their earnings. Suh said he doesn’t think casual fans understand that players don’t really make what their contracts say. 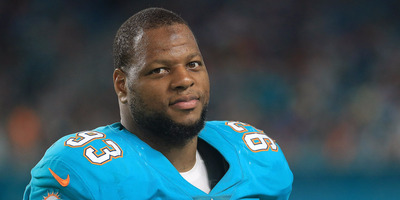 In 2015, Ndamukong Suh signed one of the biggest contracts in NFL history, agreeing to join the Miami Dolphins on a deal worth $US114 million over six years, with $US60 million guaranteed. However, like many contracts in professional sports, the numbers aren’t exactly as they seem. While speaking to Business Insider to promote his investment with emoji app Genies, Suh said that most people don’t understand that when players sign eight- and nine-figure deals, they should really split the number in half. He used his rookie deal as an example. “Uncle Sam, the new tax reform, 37% goes to him,” he said. “And then you have to factor in, I was in Detroit, so you have to factor in taxes there. So that would be Michigan state taxes and then you have the city of Detroit taxes, which is going to be 1 or 2%. Additionally, the “jock” tax – which taxes players for every state in which they play during the season – cuts into their earnings. As former NBA player Josh Childress once explained, many athletes also make life purchases, like houses and cars, without taking into account the smaller figures that they’re truly earning.